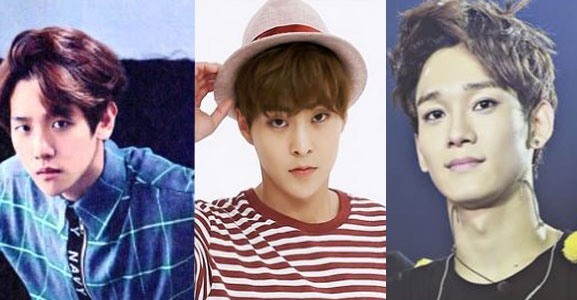 K-pop group EXO’s Baek-hyun, Xiumin, and Chen will contribute to the sound track for “Scarlet Heart: Ryeo,” an upcoming SBS drama. Their song will be used as the main ending theme song of the show, in which Baek-hyun plays one of the princes of the Goryeo Dynasty, marking his first foray into acting. Actor Lee Joon-gi and singer IU will also play lead roles in the drama, which airs on Aug 29. The drama is an adaptation of the Chinese novel “Startling by Each Step.” However, it will be set in the early period of the Goryeo kingdom of Korea instead of the Chinese Qing Dynasty.